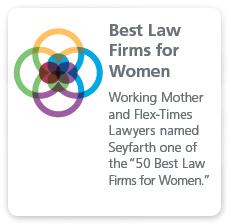 Seyfarth Shaw LLP was founded in 1945 as a firm dedicated exclusively to representing employers in the burgeoning field of labor relations law. 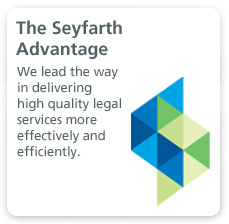 Since the firm’s beginning, Seyfarth attorneys have championed the interests of management, including participating in the drafting of the 1947 Taft-Hartley amendments to the National Labor Relations Act (NLRA). Over the years, our lawyers have tried and argued widely-cited cases before the National Labor Relations Board (NLRB), the United States Supreme Court, lower courts, the National Mediation Board (NMB), state labor boards, and labor arbitrators. Seyfarth attorneys and alumni have both chaired and served as Members of the NLRB, chaired national and regional bar association labor law committees, authored cutting-edge treatises and articles, and testified before government panels on labor relations issues. The depth of our commitment to influencing the course of labor law to serve our clients’ needs is unparalleled. This commitment makes us one of the country’s premier labor law practices—the nation’s largest practice within a full-service law firm. Our labor law practice does not fit a single mold or profile. Rather, our attorneys have the skills and experience necessary to adapt our representation to the client’s unique business needs or requirements. Our practice encompasses the entire range of labor relations matters, including representation/decertification elections; collective bargaining; litigation; grievance/arbitration matters; strikes, picketing, injunctions, consumer boycotts, corporate campaigns, and other labor matters and disputes. In our national practice, we have gone up against (and, where beneficial to our client, worked cooperatively and constructively with) the largest labor unions and are intimately familiar with their tactics. We know and have earned the respect—sometimes grudgingly given—of key officials in the NLRB and organized labor. Seyfarth is pleased to announce the launch of the Employer Labor Relations blog. Seyfarth's Hospitality Employment Team focuses on all sectors of the hospitality industry. 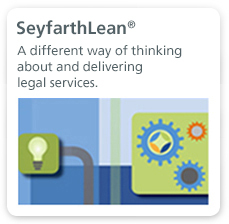 2/11/2019 Labor and Employment Lawyer Bryan O’Keefe Joins Seyfarth in Washington, D.C.